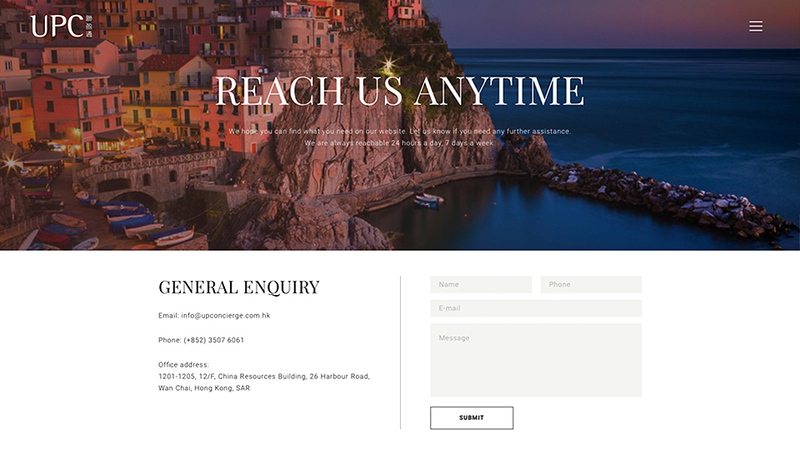 The design for the UP Premiere Concierge website is simple yet chic. The fonts, color tones and layout demonstrate the refinement of the concierge service. Moreover, scrolling parallax effect is used to enhance the eagerness of readers to get more information while bringing a more convenient experience to mobile users.